We all know Tabasco sauce – that trusted staple of home cooks and chefs everywhere. Just ask for it at most any restaurant, and they’ll gladly bring it to you. It’s one of those sauces that’s been around for so long, it’s become an iconic product. This American traditional hot sauce dates back nearly 150 years, when the McIlhenny Company first began making Tabasco brand products in 1868 on Avery Island, Louisiana. The Tabasco line includes a range of different sauces: the Original Red Sauce, Green Jalapeño Sauce, Chipotle Pepper Sauce, Buffalo Style Hot Sauce, Habanero Pepper Sauce, Garlic Pepper Sauce, Sriracha Sauce and, of course, the Sweet & Spicy Sauce. The Sweet & Spicy Sauce is not at all like your conventional Tabasco sauce. With this East-Asian-style hot sauce, you can add just the right amount of heat and flavor to dishes without overpowering them. It’s very much like a bold-flavoured teriyaki sauce, and its uses go far beyond being a zingy dipping sauce. Among its ingredients are pear concentrate, red pepper, garlic, onion, original Tabasco sauce, and a good amount of ginger, which help make a bold, sweet, and savoury sauce that is the perfect accompaniment for many Asian dishes, be they Chinese, Korean, Vietnamese, or Japanese. This sauce can be used any way you would use a sweet dipping sauce. What makes it special is its distinctive ginger zing that I’ve rarely found in a hot sauce. Add it to a stir-fry, splash it on chicken, beef, pork, or liven up your soup or anything you want to add a sweet and bold edge to. Think of this as an all around savoury sauce that you can use the way you would use Tabasco, but keeping in mind that it’s quite sweet. If you love the taste of ginger and garlic, and enjoy adding a bit of sweetness to your dishes, this is the sauce for you. 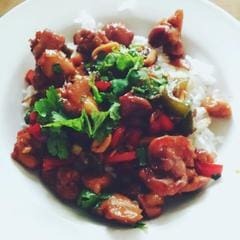 Below is a photo of Kung Pao chicken that I made with Tabasco Sweet & Spicy Sauce, Check out the recipe here. 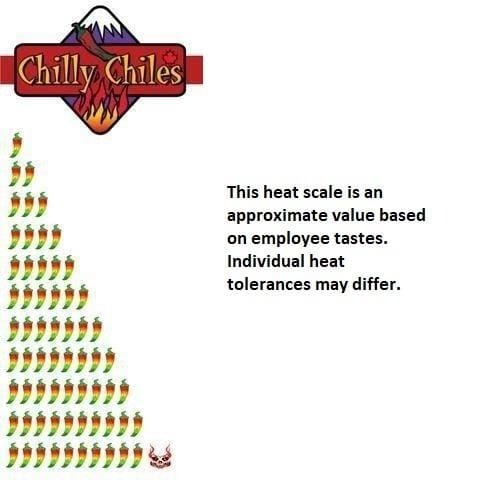 Until next time … Keep it spicy!